Trelleborg’s engineered products operation recently completed a milestone project for BW Offshore for the complete in-house design and fabrication of floating production, storage and offloading (FPSO) elastomeric bearing structures. 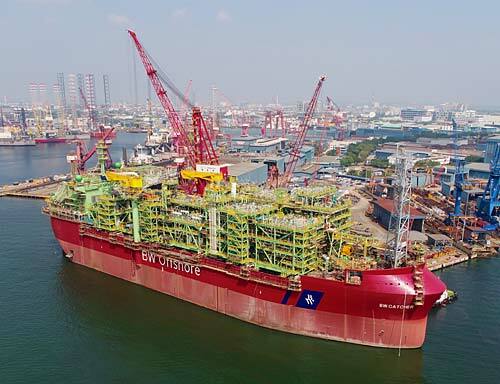 Supplied to Premier Oil’s Catcher FPSO in 2016, this marks the first time the company’s Singapore facility has not only provided elastomeric bearings, but designed and manufactured the entire steel fabricated elastomer bearing system. Located 180 kilometres east of Aberdeen in the North Sea, the Catcher project, which is scheduled to deliver its first oil in 2017, includes the development of three main oil and gas fields, Catcher, Varadero and Burgman, tied back to an FPSO vessel supplied by BW Offshore. 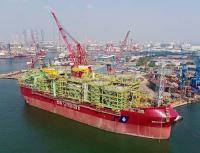 The FPSO will have a processing capacity of 60,000 barrels of oil per day and a storage capacity of 650,000 oil barrels. “Our experienced engineers employ 3D modelling techniques to predict the stress versus strain characteristics and also the fatigue life of its bearings, as well as examining wave action and the resulting multi-directional loads between a vessel’s hull and its topside modules. This guarantees that our bearings will guarantee continued assurance and performance when in-situ,” adds Chia. In addition to designing and fabricating the entire FPSO elastomeric bearing structure in-house, Trelleborg also supplied 20 fixed type bearing systems, 20 sliding type bearing systems and 20 free type bearing systems. These are specially designed to resist alternating movement in all three dimensions and large rotational movements in line with an FPSO’s longitudinal axis. This supports and protects processing modules on the vessel from impact, damage and deformation arising from adverse sea and weather conditions. Trelleborg’s elastomeric bearing systems provide a more efficient, cost-effective alternative to steel pot bearings as elastomers are an ideal maintenance-free material where vibration reduction combined with movement tolerance is required.